In the immediate aftermath of the Iranian Revolution, the late VS Naipaul (who died on 11 August 2018) and this author separately criss-crossed Indonesia, the world’s largest Islamic nation, in a search for answers to the same question: what next for Indonesian Islam? Tehran, Iran, 1980. It was a traumatic year for America’s power, self-image, and its relationship with Islam. Much of the entire staff component of the American Embassy in the Iranian capital was being held hostage, subject to who knew what humiliations – or worse. All of this was taking place in a nation that, up until just a few short years before, had apparently been a staunch ally of the United States under the hand of Iran’s decisive, energetic, authoritarian-yet-modernising ruler, the Shah. Back then, the Shah’s Iran had been defined by the geopolitical strategists of Richard Nixon’s era (and then on into the short tenure of Gerald Ford, and even on to the larger strategic ideas of Jimmy Carter) as a key part of that strategic grid. Those regional powers like Iran were meant to be key regional hegemons – all seven or eight of them from Latin America on through the Middle East and into the Pacific – that could deliver a kind of derivative power that would make the world safe; or, at the very least, to make it safer for the American vision of how things should be in the search for a kind of geopolitical Panglossian ideal. This was especially important for a weary America as the Vietnam War was winding down and the American-Chinese rapprochement was coming into focus, and that national focus was shifting towards the evolving texture of the global future. In Iran’s case, at least, there was that vast, endless stream of money, courtesy of an equally vast reservoir of petroleum. This petroleum was now being valued at least at an order of magnitude more than it had been priced at, just seven years before, courtesy of decisions undertaken in the wake of the Yom Kippur/October War between Israel and Egypt and Syria, and OPEC’s firm grip on the supply, and thus the price, of petroleum. This flood of money was fuelling the building of a new Tehran, a new Iran, new universities, new cohorts of students studying abroad, and a new class of modern, cosmopolitan, increasingly worldly Iranians. These were all visible signs of an ancient Persia, reborn as a new, 20th century world power, just as Kings Cyrus, Darius and all the rest of those who had once ruled from Macedon to Egypt, to the foothills of Afghanistan, would have expected. And then, in a moment, it was all different. (Just a year before, a Middle East analyst married to someone in the choir my wife was then singing in had assured us over dinner that Iran’s government under the Shah was certainly capable of withstanding any conceivable pressures brought against it by the student rabble.) But then, those leftist students, soon joined by many others, helped bring down the Shah, and went on to welcome back the exiled Ayatollah Khomeini from France. Almost as suddenly, however, those leftists were themselves brutally pushed aside in favour of an increasingly violence-prone theocracy. From there it was an easy step to the hostage taking of diplomats from the Great Satan. Collectively, these events transfixed the world, attracting a horde of international media to cover history-in-the-making and generating anguished, impotent hand-wringing in Washington. The question of whether all this represented “The Rising of Islam” against America was now front and centre in the minds of many American policy makers – in the State and Defence Departments, in the White House, and in the CIA. Soon enough, in response to the unfolding events in Iran, the State Department came up with a desperate times/desperate measures evacuation plan for our tiny consulate. We would have to put the plan into resolute action when those screaming hordes, eager for the blood of infidels (a.k.a., us), came down our street and up to our gate. This was the simple entry barrier usually manned by a pair of elderly, super-attenuated guards who doubled as general services handymen/repairmen for minor repairs to the consulate’s buildings and the small cadre of American diplomats’ homes scattered around the city. The plan, startling in its baroque folly, called for us to haul up onto the roof of the building any classified cables and related classified electronic gear and put it all inside a pair of pre-positioned oil drums loaded with fast burning fuel. Then we were supposed to set fire to these barrels (thereby creating a towering funnel of smoke to summon many more, further crowds); then for the American staff to crawl out of the building through a pre-cut trapdoor, drop into a malodorous drainage ditch and wade to safety, after – or as – the mobs were busy ransacking the premises. (Presumably we would worry about the dire possibilities of cholera, typhoid, poisonous snakes, hungry crocodiles, and other deadly impediments to our escape, later on.) The last step was for us to make our respective, anonymous getaways to our respective homes – apparently through the rioting crowd – in order to keep spouses and children safe. Somehow. Right. Eventually, it began to dawn on more senior people in the embassy in Jakarta of the need to consider if Indonesia was or was not on the brink of an anti-American cataclysm. With that in mind, together with an American colleague and an Indonesian driver – no Marines, no guards, no modern communications gear, no weapons beyond a small Swiss Army Knife – we headed out for a week’s worth of visits to religious schools, community welfare groups and the like, across the province of East Java. That province had some 60 or so million inhabitants at the time and there had been deadly fighting between the army and the combined forces of the air force and Indonesian Communist Party in 1965-66, in the wake of the abortive 30 September 1965 coup attempt. Much of the fighting eventually boiled down to major score settling that had relatively little to do with the coup, and much more to do with inter-ethnic tensions and issues of real wealth inequality. As a result, there was at least some reason to wonder if anything remotely like Iran might conceivably replicate itself in Java. So, off we went, by car. Out into the unknown, searching out a potential Javanese equivalent of the heart of darkness – or worse – and with some even wondering if we might safely return. Each day, we began with a visit to a “pesantren”, or Islamic boarding school, and then moved on to meet local dignitaries, government officials, or, occasionally, a prominent academic, if an Indonesian university was located nearby. This was a kind of dipstick test-style of gauging the pre-revolutionary climate. Everywhere we went, we were received with exquisite Javanese courtesy, sugary snacks, and the inevitable cups of heavily sweetened tea – or bottles of an even sweeter iced tea concoction. There were lots of leisurely looks around, the checking out classes and other on-campus activities, and then the inevitable ritual of signing the pesantren guest book. And here was where it became fascinating, even a touch eerie. At every stop, just above our signed name, there was the easily recognisable signature of one VS Naipaul, a visitor who had been at that same pesantren, just one or two days ahead of us. Unexpectedly, we were on the same pathway for understanding that Naipaul was travelling. A note of explanation is needed here. In a place like Surabaya, pre-internet, although it was a big city, the nights could be gentle, quiet and peaceful. With little of interest on the local television, evenings were perfect for good stretches of serious, sustained reading – or, alternatively, alcoholism. Besides concerted efforts to keep up with US political and social developments, or to improve the competence of our Bahasa Indonesia reading skills, we read as much of the world’s fiction on Southeast Asia as we could lay our hands on – works by Graham Greene, Somerset Maugham, Pramoedya Ananta Toer, George Orwell, Paul Theroux, and, of course, Joseph Conrad. The dark pessimism about the collision between East and West in so much of Joseph Conrad’s writing easily led a reader to the works of VS Naipaul. 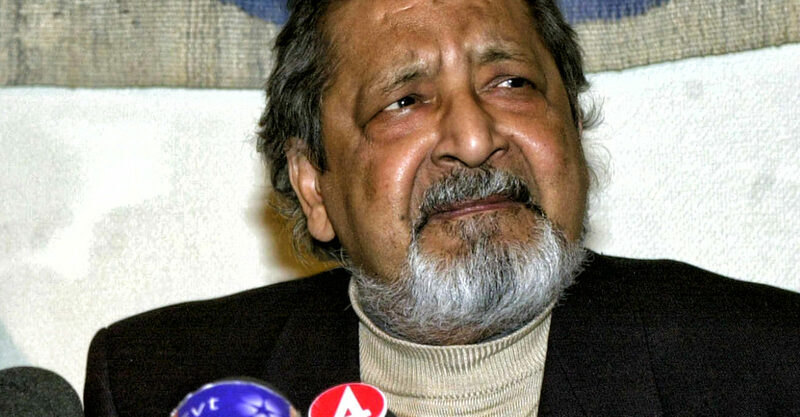 Some of Naipaul’s works were comically serious, such as depicted in the inevitable collapse of diasporic ambition in a book like A House for Mr Biswas. But there was also the much more ominous writing of A Bend in the River, with its tale of the dribbling away of “civilisation” in an unnamed, but terribly realistic, African nation, through the eyes of a small-time Lebanese merchant. Accordingly, to be on the same trajectory as Naipaul in this meander through East Java was both fascinating and ominous. The results of Naipaul’s 1979-81 travels through Pakistan, Malaysia, Iran and Indonesia had put him just ahead of the curve in “the what do Muslims really want?” discourse with his 1981 book, Among the Believers, that I had ordered from the US, just as soon as it was printed. While I could not not say directly how well Naipaul had captured the warring ideas at play in Pakistan or Iran, his grasp of what was transpiring – and the subtleties and nuances – in the remaining two nations was astonishing. He had sussed out the hidden layers in the national conversation, and the influences that lurked just below the surface of things. And he had talked to fascinating and very knowledgeable people to get yet further insights. I never actually caught up with Naipaul on our trip, and while he had written a frequently sympathetic and always thoughtful book about his trip across the Islamic world, I, by contrast, had only managed to eke out a government report explaining that the putative Islamic apocalypse in Indonesia was not – or, at least, not yet – imminent. The Islamic currents there for so many Indonesians were far too intertwined with so many other influences, both historical and contemporary, to be an easy precursor for the feared explosion. Having said that, however, Naipaul had explored a crisis that would, soon enough, burst with fury on so many of the nations of the West – and beyond.